Gov. Chris Christie holds a town hall meeting at the National Guard armory in Freehold on Tuesday March 17,2015. 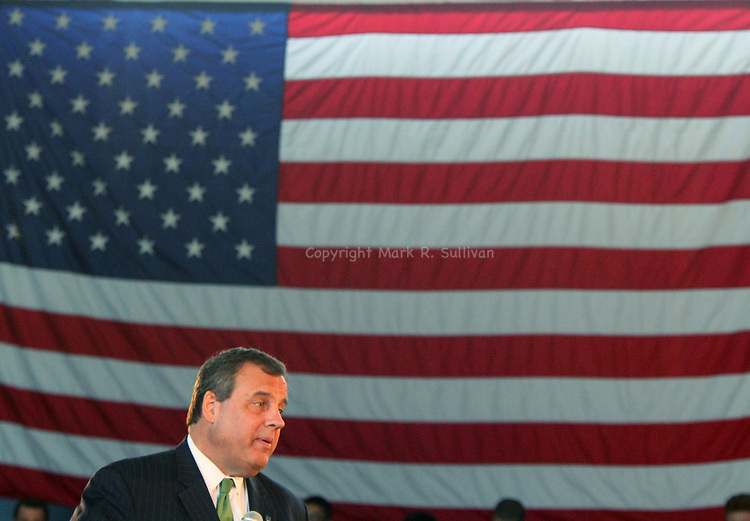 Christie walks past the American flag as he speaks during his town hall meeting.